More than 100 jobs are to be saved after it was announced that the House of Fraser department store in Hull will stay open. The news comes just days before the Paragon Street store was due to close on December 29 following the company's well-publicised financial problems. Daren Hale, the deputy leader of Hull City Council, said: “This is fantastic news for the city and the high street. "Both House of Fraser and the landlord have always shown a desire for the iconic store to remain at its location in Paragon Street. 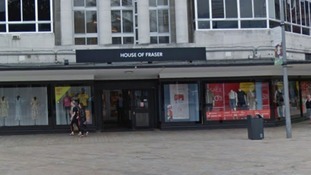 "Hull City Council has supported both parties and is delighted that they have come to an agreement that means House of Fraser will continue to have a presence in Hull."